GEORGE COLE GETS CONNECTED Digital Radio Switchover: Who knows when? THE NEW ROOMBA® 980 Vacuum Cleaning Robot keeps going until the job is done, vacuuming an entire level of your home for up to 2 hours*, recharging as needed. From pet hair to everyday messes, the Roomba 980 increases air power on carpets and rugs where dust and dirt hide. It also seamlessly and efficiently navigates your home, avoiding obstacles and stairs and cleaning under furniture. And with the iRobot HOME app, you can schedule and clean your floors with the Roomba 980 from anywhere. 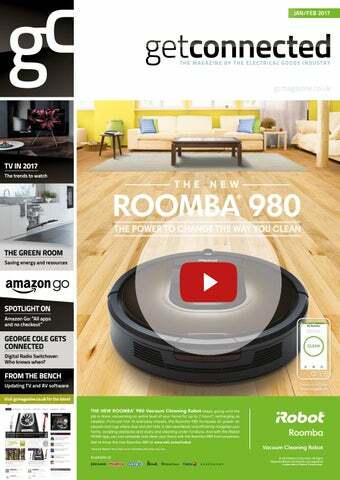 Get to know the new Roomba 980 at www.witt.zone/irobot *Tested in iRobot's Home Test Lab on hard floors.Run times may vary. Vacuum Cleaning Robot © 2015 iRobot Corporation. All Rights Reserved.iRobot and Roomba are registered trademarks of iRobot Corporation. © Copyright 2017 Mud Hut Publishing Ltd. All rights reserved. he world picture has too much material, so we’ll start closer to home. The future of retail in the UK is a current question, and a new report from the Fabian Society’s retail taskforce, “The future of British retail,” caught our eye. Norman Pickavance, chair of the retail taskforce, predicts a loss of a million jobs or a “race to the bottom in working conditions” if action is not taken to help what is still Britain’s biggest industry. He also says “the golden age of British retail is over. The industry now stands at the crossroads with competing models battling to define its next age.” A few issues here. Firstly, “the golden age of British retail” is not over. Consumers are still buying and retailers are still selling (give or take the usual fluctuations of economic cycles). What has finished is the golden age of traditional, bricks-and-mortar high street retailers. For the electrical industry it lasted from the sixties, when electricals were the new desirable luxury goods, through their explosive transition in the seventies and eighties into mass-market “necessities”, and into the late 20th century when new technology meant more exciting products and “shopping” still meant going to the shops. The products are still as exciting and innovative. But consumer shopping habits have changed. For many, the ideal “retail experience” is sitting at home, on the train, on the beach… browsing an infinite choice of products, checking what others think of them, buying with a single click and having them delivered same day - all without any human contact. A disaster for retail, or just for retailers who have been successful in the past doing things in a certain way, and don’t want anything to change? What’s also worrying is the report’s tenpoint plan for supporting retail. Four of them begin with: “The Government should…”; three with “The Secretary of State should….”; and one with “The Chancellor should…” Let’s get this straight. The Government – short of passing a law that the public has to stop buying online and get down to the shops – can’t help. The Government is not an expert in retailing, and when it gets involved it’s never a success. It’s also useless at choosing experts. For “Save the High Street” we got Mary (“I’ll definitely get another Channel 4 series out of this”) Portas. And we all know how that turned out. What the Government can – and should – do is stick to its job of passing and enforcing equitable taxation laws, and stop its senior civil servants taking long lunches with captains of commerce in expensive restaurants and clubs, and agreeing comfortable compromises over the port and petits-fours. It would also be helpful to prevent asset-strippers who know little and care less about retail from plundering our great retail names and abandoning their corpses on the high street. Finally, if we’re still standing at the crossroads – or any other road-based metaphor for having to decide on a route – then the retail juggernaut has already thundered through the intersection and is away up the road, with consumer choice in the driving seat. It’s very clear which way it’s gone, and who’s driving. So the issue for retailers now is not “which way do I turn?” but “what do I need to do to get on board?” Consumers are choosing their “retail experience” with different priorities now. If the majority really wanted to walk down the High Street, calling at the friendly independent grocer for their fresh fruit and veg, dropping in at the family butcher for a boned and jointed prime cut, and queuing at the artisan baker for a regionalrecipe loaf fresh from the oven, they wouldn’t want a supermarket, and these individual outlets would be thriving on every high street, instead of being virtually extinct except in those distinct pockets where “urban villages” still hold a strong niche appeal for a certain type of consumer. The future of electrical retail is still about delivering a “retail experience” to your chosen customer base. It’s just that the choice of experiences has expanded. It may be online, where the mass market is moving; it may be niche, quirky, expert, specialist, locationbased, distinctive, face-to-face… something that constitutes a “destination” for customers seeking distinctive products and reassurance that they’re “special”; it may be the resurgent rental and rent-to-buy niches addressing the widening wealth gap and acknowledging consumer desire still needs to be met. The legend is that Robert Johnson went down to the crossroads and sold his soul to the devil. The more prosaic and helpful truth may be that he practised a lot until he became really good at delivering an experience to his chosen audience. Are you making the most of your Retra membership benefits? Helping you build the perfect business. tepid sales performance over the festive period.” Deflation of 1.7% was recorded for the month, an acceleration from the 1.4% fall in December. Non-food deflation increased to 2.3% from 1.9% in the previous month, while food deflation accelerated to 0.8% from a 0.7% decline in December. onsumer confidence in the UK recorded an uplift in January as the public appeared more assured about their personal finances. 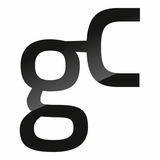 GfK’s Consumer Confidence Index rose for the second consecutive month, up two points to -5, but remained well below the positive numbers posted in the early months of 2016. Despite growing confidence in consumers’ personal financial situations, the deep malaise that has lingered over the nation’s general economic situation persists and enthusiasm for major purchases is dwindling. Expectations for the General Economic Situation over the next 12 months were 18 points lower than in January 2016, while the Major Purchase Index was six points lower. ixons Carphone has announced the appointment of Lord Livingston to the role of Chairman, with effect from 30 April 2017. He will succeed Sir Charles Dunstone, who will step down to take the role of Executive Chairman at TalkTalk plc but will remain as a senior advisor to the Group. Livingston (pictured) has been Deputy Chairman of Dixons Carphone since joining the Board in 2015. Previously, he served as Minister of State for Trade and Investment and was CEO of BT Group plc from 2008 to 2013. Earlier in his career he spent more than a decade at Dixons Group, including six years as CFO. Tony DeNunzio CBE, in addition to his current role as Senior Independent Director of Dixons Carphone, will become Deputy Chairman and Chairman of the Remuneration Committee, also with effect from 30 April 2017.
mica UK’s business – sales, marketing, customer service operations and stock holding – has been transferred to CDA’s facility in Langar, Nottinghamshire. The move follows the Polish manufacturer’s acquisition of CDA in December 2015 in order to strengthen its position in Western Europe. hirlpool has begun consultations with works councils and other regulatory agencies in connection with a proposal to restructure its EMEA dryer manufacturing operations. The move was outlined in a filing dated 24th January and is expected to result in changing the operations at the company’s facility in Yate, Bristol to focus on manufacturing for UK consumers only. Whirlpool said it also aims to end production of dryers at its Amiens plant in France in 2018, and it will concentrate the production of dryers for non-UK consumers in Lodz, Poland. The company said it anticipates that approximately 500 positions will be impacted by the decisions, and it expects the moves to be substantially complete in 2018. REPIC REPICResponsible ResponsibleRecycling Recyclingisisour ournew newcampaign campaigntotoencourage encouragegreater greaterconsumer consumer participation participationininthe theworld worldofofWEEE WEEErecycling... recycling...visit visitour ournew newwebsite websitefor forfull fulldetails! details! BRIDGING THE “IMAGINATION GAP” COULD ADD £1BN TO UK RETAIL The UK’s retail market could be boosted by as much as £1bn a year if consumers were given access to technology that allowed them to virtually place products in their own homes before committing to purchase, particularly in the case of big-ticket items. Darren Sherriff is to take on the role of UK Sales Director for AV at Yamaha, effective 1st April 2017. He succeeds Ian Galloway, who will retire at the end of March. Roberts Radio Chairman Leslie Burrage is to retire 31st March 2016 after 23 years with the Glen Dimplex-owned business. He will take on the role of advisor to the CEO to facilitate a smooth handover. and advisors on hand to help each and every customer. The new showroom is spacious and offers several different areas which showcase our range of products and offer an improved customer experience and service.” A ribbon-cutting ceremony to mark the occasion was performed by the Mayor of Wimborne and attended by officials from the Wimborne Minster Chamber of Trade, the Wimborne BID and VIP guests including the Town Crier and members of the Wimborne Militia. BELLING ENTERS NEW MARKET WITH SENSICARE COLLECTION Leading appliance manufacturer Belling has announced its entrance into the freestanding home laundry market with the launch of a suite of new products – the Sensicare Collection. Pluswash – allows users to pause the wash mid-cycle to add extra items. All the models feature Safetouch heat-resistant doors, a bigger than average Easyload porthole door, and the 9kg and 10kg models use a Silentdrive Inverter Motor – a high-performance motor with a marketleading 12 year parts warranty, which reduces noise and increases energy eff iciency, making these products 30% more eff icient than even the top A+++ rating. on how dirty the clothes are. Sensitouch – a multi-function ergonomic touch-control display which allows users to customise each wash.
My Wash – a feature which allows users to save their favourite wash cycle, settings and functions. constant currency basis. Total Group revenue rose 12.3%. quarter improved to SEK 1.6 billion. gifts. Online sales grew by 13% and accounted for 57% of sales. £1.8 million in the prior year. Revenue rose to £120.7 million from £104.1 million in 2015. Electronics increased by 4.8%. In its outlook for the year, the retailer said it expected full-year profit before partnership bonus, tax and exceptionals to be ahead of last year. part to strong performances by home appliances, air solutions and home entertainment. The Korean manufacturer reported full-year revenues of KRW 55.37 trillion and net income of KRW 126.3 billion. & Ireland increased 6%, while in Southern Europe like for likes rose by 5%. The Nordic market was quieter than normal with sales down 1%. The retailer confirmed its outlook in line with market consensus at £475m-£495m headline profit before tax for the year ending 29 April 2017.
from $20.9 billion to $20.7 billion, but increased by 2% excluding the impact of currency. Full-year operating profit totalled $1.4 billion, up from $1.3 billion. SHORTCUTS Hotpoint has entered into a multi-year European partnership with the Jamie Oliver Group which will support the brand’s new built-in range of cooking appliances and its aim to become the “number one” in the sector. LG SIGNATURE has partnered with renowned fashion photographer Rankin to highlight the distinctive features of the product collection as it makes its debut in the UK market. Hoover has donated two appliances, a DXP410AIW washing machine and DYC710AVBX tumble dryer, to the Larks Breast Cancer Centre, the Liverpool branch of the Marina Dalglish Appeal, a charity aimed at improving the lives of cancer sufferers. Whirlpool’s Supreme Care FSCR 12441 washing machine and matching HSCX 10441 tumble dryer won the ‘Appliance Innovation of the Year Award’ at the inaugural Essential Kitchen & Bathroom Business Awards. asingstoke-based AB Distributors, exclusive distributor of De Dietrich appliances in the UK, has teamed up with specialist kitchen designer Stephen Graver to fit out the Lucknam Park Cookery School – part of the Lucknam Park Hotel & Spa complex in Wiltshire. The school is equipped with De Dietrich DOP1180BU ovens and DTI1053X hobs. ALL APPS AND NO CHECKOUT – IS AMAZON’S GROCERY STORE REALLY THE FUTURE? rocket, with the result that any saving on checkout staff will be offset by the need for security personnel. The new store is also likely to be highly impersonal, denying retailers opportunities to enhance engagement with customers and build a sense of distinctiveness. Of course, the technology will allow Amazon to push out plenty of offers and recommendations to their new customers using location-based services similar to those in use among coffee shops. But for a retailer trying to establish a more involving relationship with customers, this store-asa-device does not really work. Amazon, however, may have different priorities. Already so well established as a brand, its entry into shopkeeping may actually have a great deal to do with capturing new accounts and wedding more customers to the overall Amazon experience. This is probably just one part of a much bigger picture. While other retailers will certainly be watching very eagerly to see how it works out, it is doubtful whether this model can be replicated. It is also unlikely that Amazon can start offering their new integrated system as a service to other operators. Who is likely to want all their data going through Amazon’s big data machine? Still, it is an experiment that anyone with an interest in the high street should observe very closely. Amazon Dash (allowing consumers the chance to reorder products by pushing a low-cost button device) may not have been a runaway success, but the Amazon supermarket may have a basketful of lessons for us. A YEAR OF DECISION? THIS YEAR COULD BE A DEFINING ONE FOR THE UK RADIO INDUSTRY, BECAUSE THE ODDS ARE THAT, BEFORE THE END OF 2017, MORE THAN 50% OF RADIO LISTENING WILL BE ON DIGITAL PLATFORMS, RATHER THAN ANALOGUE. hat is the trigger for the government to consider starting the process of switching UK radio from analogue to digital. However, my bet is that the government will kick this can even further down the road, and announce yet another review, which will report either just before or “Ofcom just after the next reports that when election. Why am I so pessimistic? Well, despite the great progress made by digital radio regarding content, coverage and cost, many hurdles remain in terms of politics, economics and technology. I also think the government will want to see what happens in Norway, which last January began the process of switching off analogue services. Norway has gone for the “big bang” approach, with the switch to digital set to be completed by the end of the year (save some local FM stations, which will continue until 2022). There has been great opposition to the plan (a survey carried out in December 2016 found that 66% of those polled opposed the switchover), and one media commentator noted that “politicians have decided to make 15 million FM radios...completely useless.” Time will tell whether the decision was bold or bonkers. 97.3% households. But dig a little deeper, and gaps emerge. Ofcom reports that when it comes to coverage on major roads, BBC national DAB service coverage is 87.3%. The Digital One commercial DAB national services cover 91.5% of the population, while the new commercial service, Sound Digital, has 76.5% coverage. Then there is the issue of legacy FM radios – millions of them in homes, cars and on devices, from smartphones to clock-radios. Ofcom noted that sales of DAB radios in Q3 2016 were similar to the previous year, and that roughly one third of new radios (35% – 1.6 million digital, 3.1 million analogue) were capable of receiving DAB. DAB radios are standard in around 85% of new cars, but millions of vehicles still have analogue radios. There is also the legacy of older DAB radios which use MP2 technology. Although most new DAB radios now also offer DAB+ (and a couple of stations broadcast exclusively in DAB+), the market is stuck with old, inefficient radio technology. onsumers are spoilt for choice when it comes to TV features and technologies, from ultra-thin flat screens to screens offering pin-sharp images, and from smart TV services to stunning surroundsound. So, which of these are likely to make a significant impact on this year’s TV market? TV Plus will offer IP-based (internet) channels, focused on premium content services through a new Smart EPG solution. which also supports professional grade image processing. LG’s Anderson says: “UHD content is key to helping deliver the full value proposition within the UHD TV market. LG continues to work closely with its content partners to develop more 4K content, as well as 4K HDR content, to provide a wider choice of UHD programming to its customers. Additionally, LG UHD TVs are Netflix recommended.” LG has formed partnerships with HDR content providers to ensure that consumers can enjoy 4K HDR content on LG TVs. LG’s 4K OLED televisions are also HDR-ready. LG has also launched its new range of Super UHD TVs, which include new Nano cell technology. The nanometre-wide particles are uniformly sized to help deliver more accurate colours and better viewing angles, says Anderson. Sony says sets in its Bravia OLED A1 series use 8 million self-illuminating pixels to offer unprecedented black, authentic colour, blur-less image and a wide viewing angle. Samsung’s Mitchell adds: “At the end of 2016, Samsung announced that it will support YouTube’s global High Dynamic Range (HDR) playback on television, through an expanded version of the YouTube application, in order to bring to life an immersive HDR viewing experience – all from the comfort of our users’ homes.” To coincide with the launch, the YouTube application will feature new HDR videos from popular YouTube content creators. “With a growing number of HDR content providers, as well as the numerous creators already producing HDR video content, YouTube’s HDR support is expected to introduce more genre offerings in the coming year and satisfy user demand for a true-to-life viewing experience on the content they enjoy the most,” concludes Mitchell. There will certainly be no shortage of head-turning, eye-popping TV products in-store this year, bringing lots of added value to the market. It looks like 2017 is going to be a good time to be in TV retail. any case of difficulty the setmaker can help. At the end of downloading there’s generally a ‘success’ message and the set will reboot and restore (improved!) operation. VISICOOK BEEHIVE KETTLE This distinctive Beehive Kettle with ribbed glass body joins the VisiCook line-up for 2017. The appliance features blue illumination when in use, and at boiling point provides a refracted light & bubbles show. It is intended to retail at up to £49.99 and is said to provide competitive margins for distributors and retailers. The overall linear look is proving very popular in today’s modern kitchen and we will continue to see more plain and handle-less doors, for a simple yet modern style, predominantly in gloss finishes and in grey or neutral earthy hues. The traditional grained timber and timber effects in natural tones will also become more popular, thanks to the increase in painted colour options, and this will continue to grow as homeowners’ desire a look that is both chic and flexible. The main trend in colour right now is towards grey and earthy tones with homeowners opting for simple, neutral coloured kitchen designs that will stand the test of time. In 2017, shades of grey in cabinets and doors will continue to be in demand and we will also start to see more copper coloured handles, accessories and appliances coming through as people try to find alternatives to stainless steel and black to complement their cabinets. The use of bold colours in the kitchen will phase out as European kitchen design will continue to soften these prominent colours and instead use more earth tones and wood grains. Designers still currently prefer to hide small kitchen appliances; therefore, food processors and kettles will find homes in tall larders. There will be a preference towards deep drawers and intelligent high-quality storage solutions. Both style and practicality will be increasingly prevalent as kitchen designers look to create the ‘wow’ factor. Technology is rapidly developing in the contemporary home and the kitchen is no exception. In 2017 there will be more of a focus on products such as integrated speakers with Bluetooth functionality, colour-changing lights and even pop-up sockets for phone charging, giving traditional kitchens a subtle, modern twist. To this day, many households have yet to fully experience the benefits of a domestic ‘helper’ that will automatically adapt to changing conditions. how these savings are delivered, is in itself rather fuzzy, as LG discovered when it conducted research into the nation’s laundry habits. The results led UK Head of Marketing Carolyn Anderson to believe that consumers are not fully aware of the range of energy-efficient products available on the market, partly because they indicated confusion as to how resource savings come about. The study showed consumer interest in sustainability to be a growing trend, but it revealed some rather erratic and unreliable means of contributing to environmental savings: a large proportion of those surveyed said they do an average of eleven washes a month, but only if they have a full load of washing (73%), while 26% of respondents admitted to putting off washing clothes in order to “save the environment.” Anderson’s reaction is understandable: “While this is one way consumers consider to save energy and resources, it is perhaps not the most beneficial way,” she comments. “By careful selection of the product and the technology, savings can be greater whilst still making full use of the wash programmes.” The suggestion is that consumers – even those who do their homework before purchasing – may not be aware that, for example, if a smaller load is washed, the machine adjusts the wash parameters accordingly in order to achieve the best and most economical results. e’re under time pressures, so 9 of the 13 programmes on the new FabricSmart™ WM1490F1 washing machine from Fisher&Paykel will take less than an hour (at 30°C) but still produce an amazing clean due to the special Vortex Wash that speeds up the cleaning process. It has a special drum clean, gasket flush and anti-bacterial material that removes 99.8% of bacteria, so we don’t need to worry about black mould. The best button on the machine is the “Add a Garment”, which means users can stop the machine on any programme, except Delicates, and open the door immediately. maintains Whirlpool Senior Brand Manager Jennifer Taylor. Good advice, but for most consumers a little help in identifying “the best” may go a long way towards finalising the purchase decision. As Taylor notes: “Many consumers are unaware of the great advances in cooling appliance technology that deliver superior performance, ensuring that food stays fresher for longer, reducing food wastage and saving money.” Such technology offers a compelling story for retailers. How many customers know that the temperature and humidity inside cooling appliances can be constantly monitored and kept at optimum levels to keep foodstuffs in tiptop condition for longer, retaining their original taste, colour and appearance while reducing food waste and energy consumption? How many know that food waste from freezer burn could be a thing of the past; that technology can continue the process of photosynthesis to keep fruit and vegetables fresher for longer; that multi-zone compartments can be set to either chill or freeze, according to household needs; that an A+++ refrigerator will consume up to 60% less energy than the same A-rated model? And the list continues… Retailers are fully familiar with these substantial benefits; consumers, on the whole, are not. on resources” simply through a lack of consumer knowledge. The dishwasher is the best example of this, she believes: “Dishwasher penetration in the UK still lags behind the rest of Western Europe and analysts report that dishwasher sales still remain much lower compared to other major domestic appliance categories.” However, Kelly Penn, marketing manager for Hoover Candy Baumatic, notes a positive for the category: “The message that a dishwasher is a ‘necessity’ in the kitchen has been reinforced by the fact that volume sales of integrated dishwashers overtook those of freestanding for the first time in 2016.” She quotes figures from industry association AMDEA which show that integrated models have now achieved a 53% share of the dishwasher market. Sharp Home Appliances’ Rita Balestrazzi asserts that dishwashers with 14 place settings can cost as little as £2.93 per month to run. The new generation of models, she says, not only optimise efficiency, but also performance, “offering washes that can reach their optimum temperature for more of the cycle and providing programmes that can support multi-tasking.” Importantly, she adds that concentrated and more targeted washes no longer rely on greater energy or water use. “Dishwashers are being designed with adjustable funnels that can direct water upwards into the interior of mugs, glasses and baby bottles, or downwards into the bottom basket for a more powerful and thorough clean.” It is estimated that by 2020 most UK homes will pay only for the household water they use and Balestrazzi believes that the growth in water metering is bringing the money-saving potential of the more water-efficient appliance models to the fore. At Belling, we’ve exciting news. The launch of our new Sensicare Collection means we now provide a complete range of home appliances, from cooking to home laundry. Sensicare includes our freestanding Washing Machines, Tumble Dryers, Dishwashers and Washer Dryers, all with innovative features. Plus, with 100 years of experience behind us, Belling is a name you’re sure to feel right at home with. To find out how to include the complete Belling range in your store, and benefit from our exclusive extended warranty, please contact your GDHA Area Sales Manager. *Available in 7, 8, 9 and 10kg. omes can be kept clean and tidy with the new Beldray Quick Vac Lite Blue. Simple and straightforward to use, the Quick Vac Lite is designed to the highest standard, specifically to ease the pressures of modern-day life. Complete with a 22.2V rechargeable lithium-ion battery and a 500ml dust container, users can get 20-25 minutes’ operating time so they can enjoy fast, cordless cleaning. The Quick Vac Lite has an ergonomic design and dual cyclone technology. It includes a flexible extendable hose, crevice and brush tools, and converts into a handheld unit for floor to ceiling cleaning. Lightweight and compact, it can be tucked away for convenient storage. SEBO SEBO SEBO X4X4 X4 PET PET PET BOOST BOOST BOOST TheThe The SEBO SEBO SEBO X4 X4 PET X4 PET PET BOOST BOOST BOOST delivers delivers delivers outstanding outstanding outstanding cleaning cleaning cleaning day day after dayafter after day day with daywith with ease. ease. ease. However, However, However, it has itithas something hassomething something special special special up up its up its sleeve. its sleeve. sleeve. For For For those those those situations situations situations where where where a bit a abit more bitmore more oomph oomph oomph is required, isisrequired, required, say say stubborn saystubborn stubborn pet pet hair, pethair, hair, press press press the the boost theboost boost button button button on the on onthe SEBO theSEBO SEBO X4 PET X4 X4PET BOOST PETBOOST BOOST andand and it will ititwill give willgive agive deeper a adeeper deeper clean clean clean andand extra andextra extra pilepile pile lifting lifting lifting power. power. power. TheThe SEBO TheSEBO SEBO X4 PET X4 X4PET PET BOOST. BOOST. BOOST. Tough Tough Tough on dirt. on ondirt. dirt.